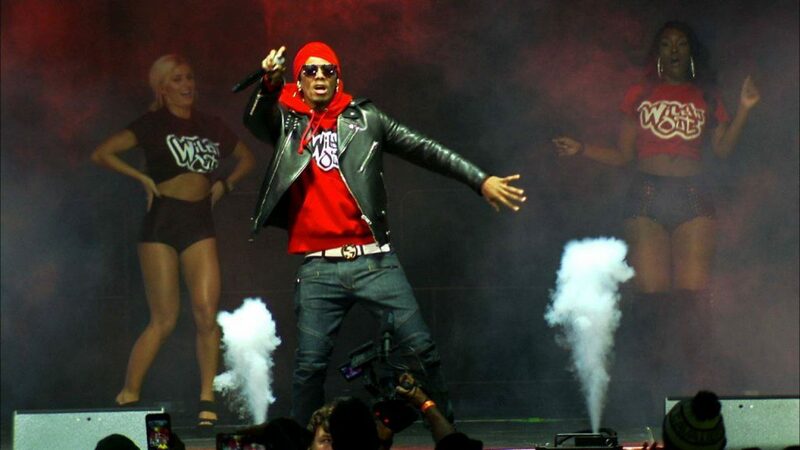 CLEVELAND, OH – When the multi-talented Nick Cannon announced that he was taking his hit MTV program “Wild N Out” on the road, some critics wondered how well the fast-clipped, hip-hop improv comedy show would translate into a live tour format. They needn’t have worried. The hugely successful show (one of its episodes was the most watched in MTV2 history) is proving to be equally compelling on the road. 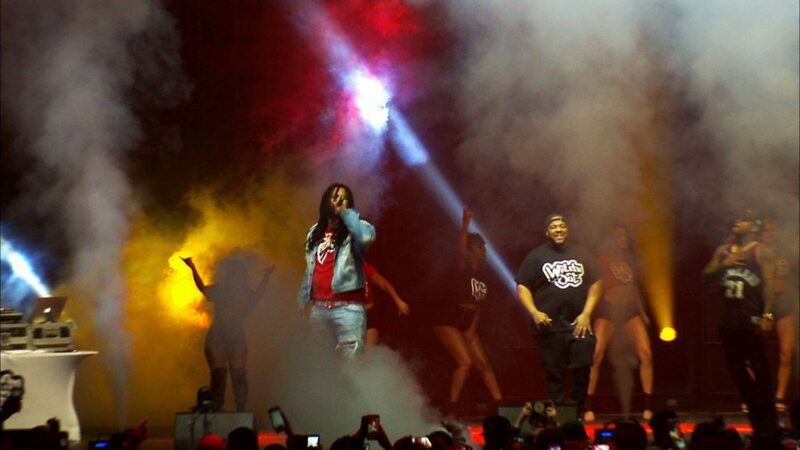 This was very evident when the tour rolled into Cleveland’s jampacked Wolstein Center on November 25 with Cannon and special guest Waka Flocka Flame of “Oh Let’s Do It” fame. 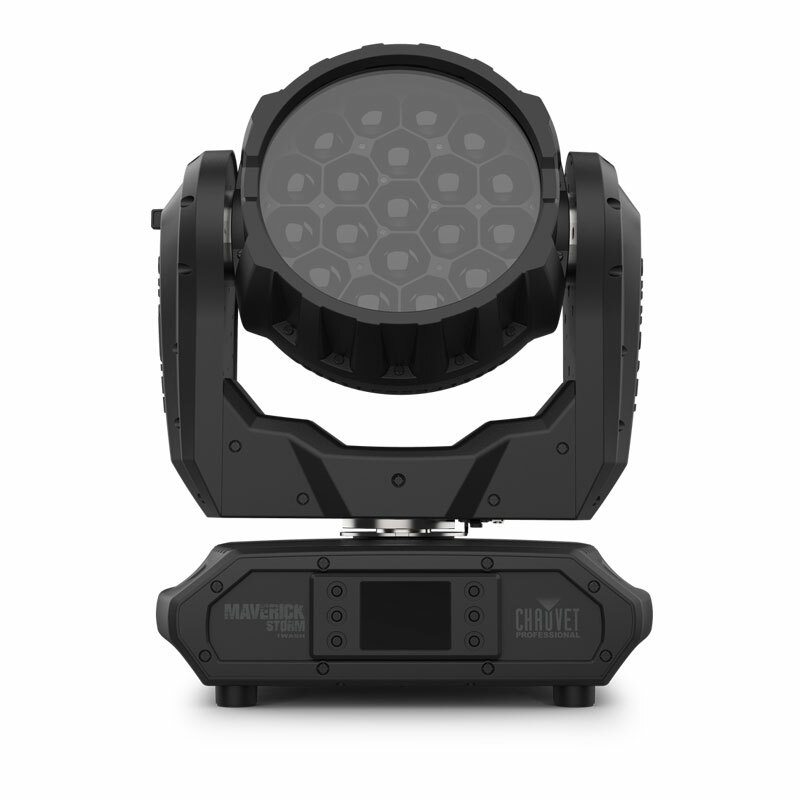 Adding impact to the evening’s performance was an intensely bright lightshow designed by Marc Wasserman of 3 With 1 Grab Productions that was made even more dramatic by six CHAUVET Professional Vesuvio RGBA LED foggers supplied by Audio Spectrum of Boston. 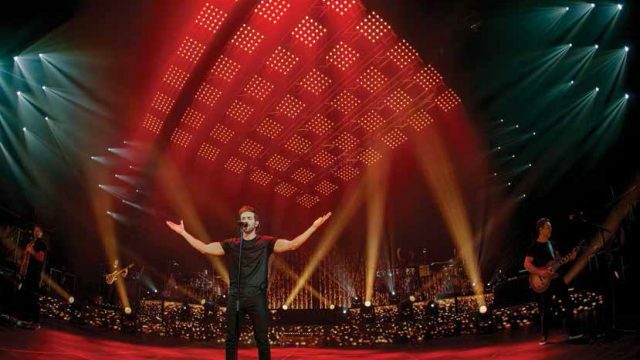 Show Director Angel Perez of Fine Quality Events (New York) positioned three of the battery-powered, high output foggers across the downstage deck and had three additional units arranged on the floor upstage. 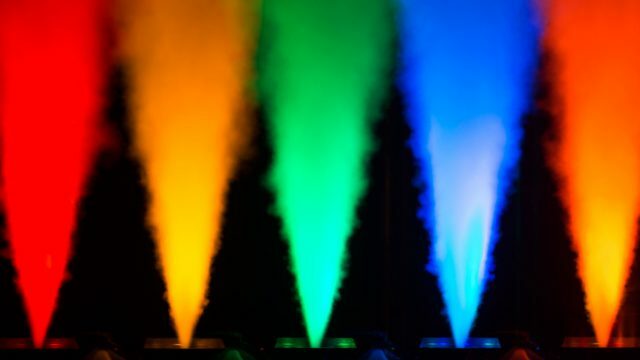 Sending colorful plumes of water-based fog high in the air, the Vesuvios immersed the stage in colored clouds at key moments during the show. Board Operator Andy Peta controlled the Vesuvio units via DMX, coordinating fog output with the lighting throughout the show. 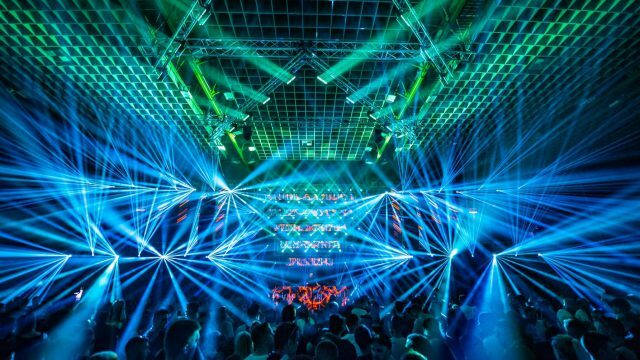 The density of the fog produced by the units played off well against the output from the fixtures on stage.